Hammertown, USA – September 26th, 2013 - ULTRA4 Racing in conjunction with Gigabit games is pleased to announce the release of the highly anticipated “ULTRA4 OffRoad Racing“ video game. The game is now available on both Google Play for droid phones and iTunes for iPhones. With more than 100,000 versions of the beta downloaded prior to today’s release, ULTRA4 OffRoad Racing is already among the most popular racing games available for the droid. The full version of the game features enhanced game play on actual ULTRA4 race courses such as MetalCloak Stampede, King of the Valleys and even some brutal King of The Hammers courses. Players can race a Stock, Modified or ULTRA4 car and may choose between shorter time trial stages or career games. Career games allow players to race on increasingly challenging courses starting with a stock car and progressing to an ULTRA4 car. ULTRA4 Partners including Nitto Tire, GenRight, King Shocks, Bestop, Spidertrax, Trail-Gear and MetalCloak all have sponsored cars in the game that players can select to customize their game play experience. 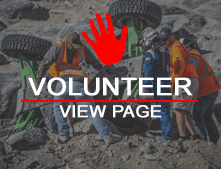 ULTRA4 Partners including Nitto Tire, GenRight, King Shocks, Bestop, Spidertrax, Trail-Gear and MetalCloak all have sponsored cars in the game that players can select to customize their game play experience. The Jurica brothers of Gigabit Games spent the past six months working closely with ULTRA4 founder, Dave Cole to make the game as realistic as possible. Just like ULTRA4 drivers, players will have to learn throttle control to conquer challenging rock obstacles and avoid doing damage to their cars. The faster players go, the more likely they are to do damage, which can only be repaired by incurring time penalties. Players can expect to roll their cars, lose spares, suffer from flats and even see smoke pouring from their hoods based on their driving style and mishaps throughout the game. ULTRA4 Off Road Racing sells for $1.99 on both Google Play and iTunes.